a beautiful black horse, identified as Double Trouble, and a man that may possibly be a trainer or handler. 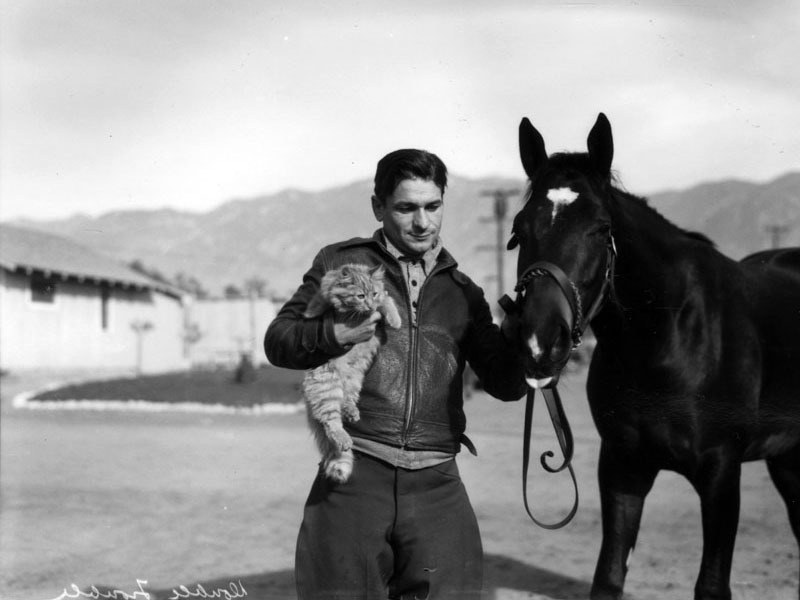 The man holds the horse’s rein with his left hand, and is holding a large, fluffy cat next to his chest with his right hand. Because the web can always use more cats, more horses, and more racing, I remixed a bot at the community app building platform Glitch that tweets racing items from the DPLA. Follow along @racingpix. Stellar Wind ran extremely well. She was dead game, and she is very, very good. 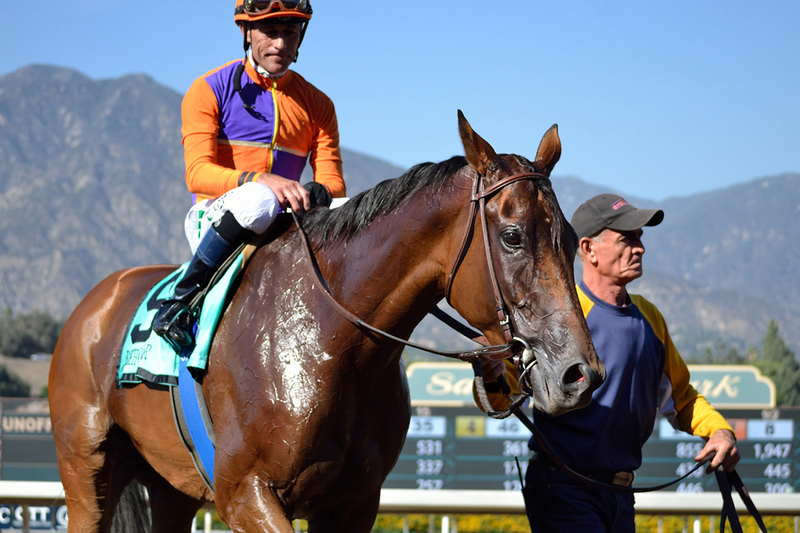 But Beholder absolutely toyed with her. Toyed with her. Anyone who watched the Vanity knows the difference between Beholder and Stellar Wind on Saturday was far greater than what the result chart suggests.